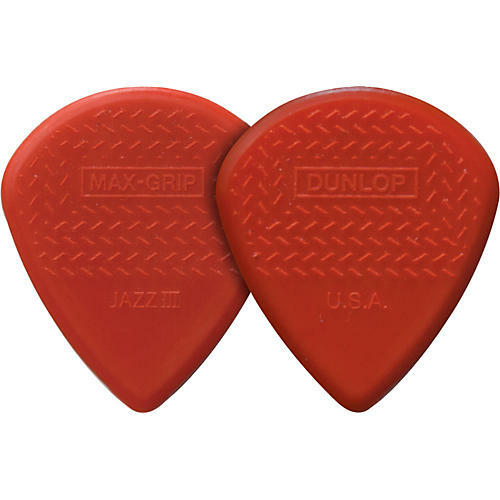 Dunlop Nylon Max Grip Jazz III Guitar Picks combine the Classic Jazz III shape with Dunlop's cutting-edge Max Grip technology. The pick's non-slip gripping surface is molded in for incredible control. The tip is constructed with the same sharp and beveled shape as the regular Jazz III pick for quick string release. Guitarists looking to increase their speed and articulation and Jazz III pick fans alike will benefit from this amazing combination.